Full of surprises with diversified of attractions and activities, the varied landscape of Malaysia makes for a breathtaking adventure holiday destination in Asia. With more than 30 national parks, islands, mountains range and protected zones, this tiny country nestled in the centre of South East Asia is one of the most spectacular destinations for holiday. Home to the endangered and extraordinary giant leather back turtles, scarlet macaws, morpho butterflies, huge rafflesia flowers and lush thick tropical rainforests that can be found in most places of the country along with verdant mountains and unspoiled beaches. With over half of the landmass of Malaysia covered in tropical rainforests, one of the best methods to discover these truly enchanting and magical realms is via a canopy trip. Despite the fact that many tourists still believe hiking is the best way to explore a rainforest, canopy walks are even better because the natural scene they present is often incomparable and tourist can also gets the chance to see the fauna and flora in their natural setting. In addition, rainforests are normally occupied with dense plant life, the atmosphere on the ground can be very difficult for exploration, hence making it hard to see everything clearly, hence, canopy walk is the best way to explore in such condition. For visitors who are looking for an exciting vacation with heart pounding adventures, white-water rafting is one of the best sports to experience. Being one of the best white-water rafting destinations in South East Asia, the river streams in Malaysia is a paddler’s favourite. 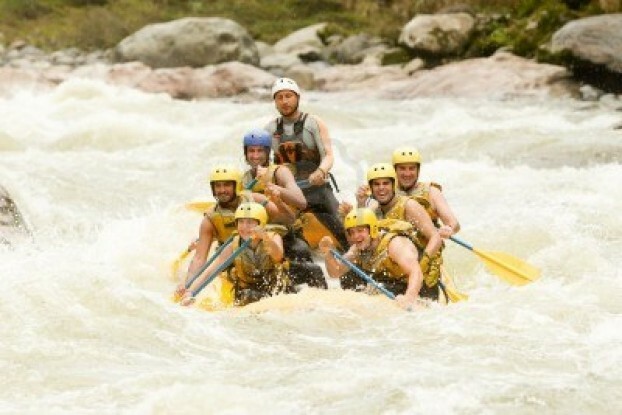 From family to the adventurous nerds and from the beginner rafters to experts who like the excitement of zipping down a river, Malaysia provides some truly spectacular white-water rafting experiences. With thrilling rivers tumbling down from the hillsides, get a completely unique view of Malaysia’s marvellous wildlife and natural exotic beauty as you ride the many streams here. There are many rivers in Malaysia that tourists can enjoy white-water rafting. Nevertheless, the Kampar River, Klias River and Padas River are some of the best spots for white-water rafting adventure in Malaysia. With some of the most spectacular sport fishing destinations in South East Asia, Malaysia provides magnificent fishing opportunities off the coast as well as in the mainland. The sport fishing facilities in Malaysia is top notch and the sport fishing industry itself is strongly established and reputable in the region. Since most of the Malaysian sport fishing tour providers follow a stringent ‘catch and release’ rule, the diversity of fish species inland and off the coast is remarkably marvellous. This is done because Malaysians are well conscious of the significance of sustainable and eco tourism and the appropriate ways of fish species conservation. Malaysia is definitely a good destination for the visitors who like adventurous activities. If you are planning for an adventurous tour to Malaysia, ensure to include these fun and yet exciting activities into your itinerary.